Thinking of Joining a Wine Club? 1. Overall Winery Experience: We take into account the wine (obviously), the atmosphere of the tasting room and property, and the customer service and level of knowledge of the wine educators. These things typically make up our overall winery experience. For instance, if we love the tasting room but experience poor service, we probably wouldn’t join their club. If we loved the atmosphere, had great service, but the wine was terrible, that would be a no as well. We really look for places that knock it out of the park– we want an educational and entertaining tasting, we want to enjoy the majority of their wines, and we want to feel relaxed and cozy in the tasting room, or be looking at a beautiful view outside. We don’t think those requirements are too much to ask for! 2. The Wine (duh): The wine is probably the most important single item on the list. You wouldn’t join a club if you don’t enjoy their wine. Although we don’t need to like every single varietal, we want to like the majority of their wines and see the quality in them. We want them to be well-made, taking into account the fruit used, where it was sourced and bottled, and how it was crafted by the wine-maker. For example, as we prefer drier whites and full-bodied reds, we probably wouldn’t join a winery that primarily focused on making sweet wines or dessert wines. We also wouldn’t join a place that out-sourced all of their grapes from other states (a few are okay) and made the wine somewhere else. 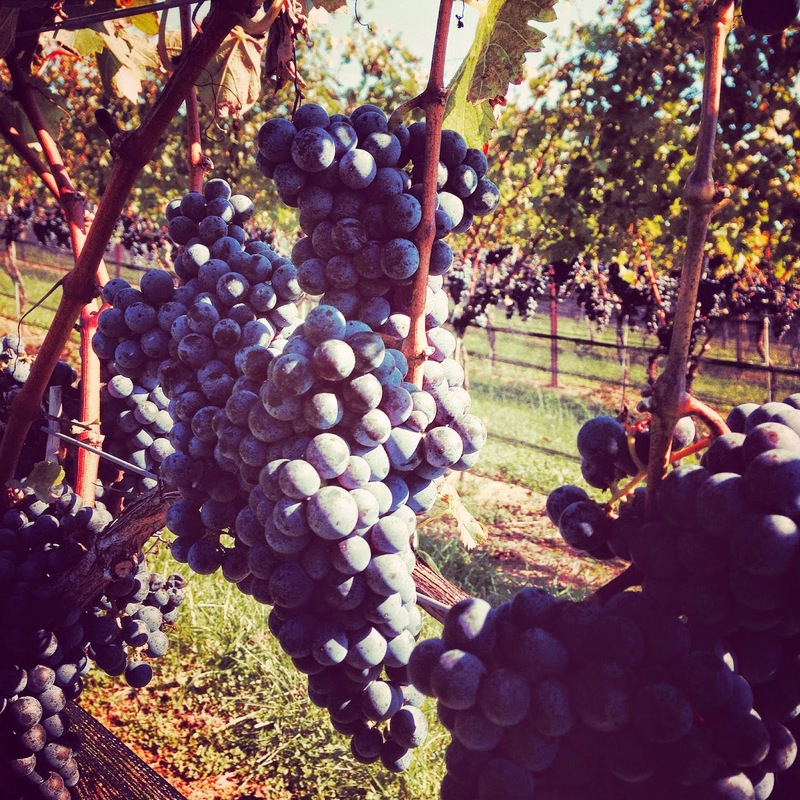 Part of our love for Virginia Wine Country is that we are supporting the local economy and enjoying the fruits of labor throughout the state. 3. Tasting Room Atmosphere: For us, escaping to Virginia Wine Country is a little getaway from every day life. We want the tasting room to reflect that. Our wine clubs differ in many aspects and we can appreciate both the larger, more prominent tasting rooms, as we as the small quaint ones. We have found that it’s good to have a variety of club memberships in order to appeal to our mood that day. If we wanted to be around a lot of people, hear some live music, and gather with a group of friends, we’d probably visit one of our larger clubs. If we were in the mood for a quiet afternoon or a romantic day, we’d choose a smaller more intimate venue. 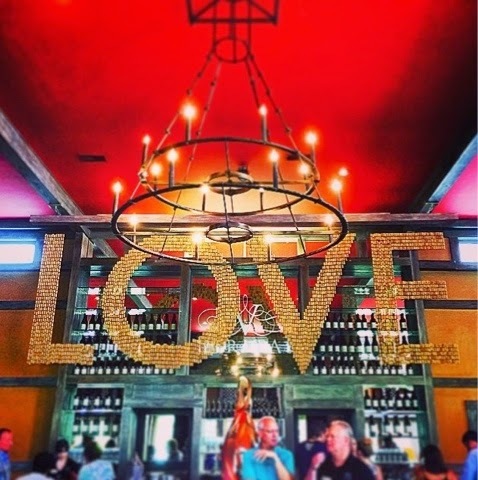 Either way, we prefer the tasting room to be an escape and we love when the decor reflects that. 4. Location & Hours (this is key): As we mentioned earlier, all of our wine clubs are in the Northern Virginia region of Virginia Wine Country. This is purposeful. We live in Northern VA, and typically venture to wine country every few weeks or so. When we venture out, it’s nice to have perks and options to choose from. In addition, we pick up most of our wine from the wineries themselves, so it’s helpful to be within an hour of them. While all of our clubs are in Northern VA, they spand from the Leesburg/Purcellville area, to Middleburg, and Delaplane. Again, each day is different and we like to pick the winery that suits our mood. One of the other important factors are the hours. We like to enjoy a winery during the evening, especially as the weather starts to warm up, so it’s nice when a winery has some late-night options to choose from. We also look for wineries that are open most days of the week, because on the occasional day off from work we might head out for a relaxing, quiet afternoon. 5. Wine Club Perks (free tastings, discounts, etc. ): This is a biggie for us as well. We typically join wine clubs that offer a variety of perks– from free tastings on each visit, to discounts on their products and wine, to special events and pick-up parties throughout the year. It’s nice to feel “special” at the winery, especially since you are committing to a certain amount of wine per year from them. The best clubs are those that offer a free tasting for you and one other on each visit. If you frequent a place, this really is a good economic decision. 6. Rules & Regulations (can you bring food/dogs/children? ): We always like to make sure that the winery rules add up with what we like, and again, we have different club memberships for different reasons. There may a day we want to bring the dogs, so we need to make sure that’s kosher. There may be a day where we want adult time, so we wouldn’t go to a winery with children running around. Can we bring in a picnic? It’s not a deal breaker, but it’s a cost-effective way to enjoy the winery and the outdoors. These are all things we consider before joining the club. 7. Cost: And finally, there is the cost. Does the wine club have an initial fee to join? What is the price of their wines? How often are at the shipments? What are we committing too– 3 bottles a quarter or 6, etc.? It’s important to make sure that the fees of the club line up with our budget. With all of this being said, what we would recommend for anyone that wants to join a wine club is that they find places that match up to what they are looking for. Every palate is different, every personality is different, every experience is different. What we like, you might hate. What you like, we might not love. Find your favorite venues and go from there. If you find that you are constantly visiting one winery, you should definitely join the club. It’s cost-effective and the perks are usually pretty great! If you find that you’ve become a Virginia Wine Country lover like us, you might want to join a few clubs. The beauty of Virginia Wine Country is that each individual can create the experience they want! Enjoy! We’d love to come by again soon. We actually visited about 2 years ago and did love your wines! What have you got on your tasting menu currently? Latest vintages are listed on our website http://www.ducardvineyards.com. We have our new vintage of Cuvee 719 out now – a tart, Sauvgnon Blanc – type character wine that’s great with seafood, a new Rose that will as always be sold out by mid summer, and a great new vintage of Cabernet Franc – 2013, held an extra year in bottle to integrate the acidity and soften the tannins (ditto – 50 cases remain). And more ! So look forward to seeing you.